Former Husker defensive tackle Maliek Collins drew some pretty heavy praise from a teammate in a story by the Dallas Morning News on Thursday. 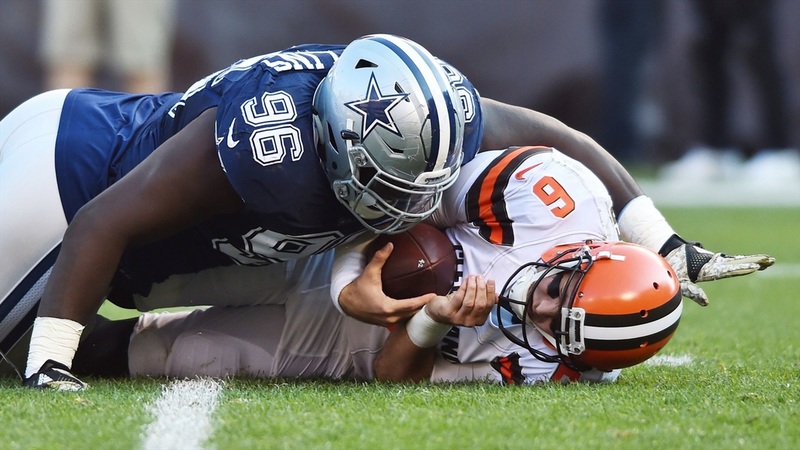 Dallas Cowboys guard Zack Martin, who is regarded as one of the best at his position in the NFL, has battled with the second-year tackle every day in practice throughout camp and has come away impressed. As a rookie, Collins moved into the starting lineup during week three and stayed their the rest of the season. He finished second on the team with five sacks with all five coming in the last eight games as he continued to improve throughout the season. He added 14 pressures (third on the team) and 23 tackles. The Cowboys went 13-3 last season before falling to the Green Bay Packers in the Divisional Round of the playoffs. The 6-foot-2, 305-pound Collins turned down his final year of eligibility at Nebraska to declare for the 2016 NFL Draft and was selected by the Cowboys with the third pick of the third round. He broke his foot during organized team activities last season and missed the preseason. However, he is healthy this season and has taken advantage of the practice reps he’s gotten against Martin and the rest of the Dallas offensive line, widely considered to be the best in the league, in order to improve. Dallas is going to need a big year out of Collins in terms of interior pressure as the Cowboys are shallow in edge rusher talent. If Collins doesn’t consistently collapse the pocket, opposing quarterbacks will likely have plenty of time to stand in there and pick apart the secondary. With running back Ezekiel Elliott currently suspended for the first six games of the season, the Cowboys will need more out of their defense in order to replicate last season’s success. Read the full story from the Dallas Morning News for a Q-and-A with Collins, although Husker fans won’t be surprised to learn that Collins was short and direct with most of his answers. As writer Jon Machete led off with, Collins is a quiet guy.